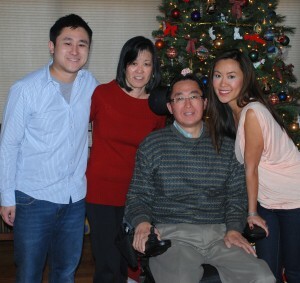 I was diagnosed with ALS in January 2011. I have found that as a patient with ALS, it can be difficult finding answers since so little is known about the disease. Healthcare professionals often have the difficult decision regarding how much to say and how much to withhold. After the initial shock of diagnosis, there’s a practical reality that sets in for both the patient and caregiver. How do we care for the loved one? What will be the most significant challenges that will need to be addressed immediately? I hope, as a patient with ALS and as a physician, that I can provide fresh insight. UPDATE 3/12/14: It’s been about one year since my last entry and a little over three years since my initial diagnosis. I now have almost no motion in my arms and legs and minimal motion in my neck and trunk. I’m on a ventilator 24/7 and am short of breath after about 10-20 seconds, but can still speak without using any communication devices. However, about 20% of my speech is difficult to understand. I am able to swallow liquids with care, but my caloric requirements are met by PEG tube feedings. I am doing spiritually well and wanted to share some new things I’ve recently learned at this later stage of my physical illness. After going through some new challenges, I would like to help prepare others with ALS for what may come and give others a sense of reassurance and confidence that there are some supports that may be in your control that can help you practically manage your illness as it progresses. Weyton entered the gates of heaven on November 26, 2015, after battling ALS for almost 5 years. He passed away peacefully in his home in Edmond, surrounded by his family. Weyton was born September 8, 1960 in Hong Kong and grew up in California as the only brother among 4 sisters. He attended UCLA, where he met his wife, Rose, in biochemistry class. Weyton and Rose were wed on April 21, 1984. He then attended the University of Oklahoma College of Medicine. During medical school, Weyton became a father to a son and a daughter—Matthew and Kristen. Weyton finished his training in radiology in Loma Linda, with specialty training in musculoskeletal radiology in San Diego before settling down in Edmond, Oklahoma. He enjoyed teaching at the OU Health Sciences Center and practicing medicine in private practice until he was diagnosed with ALS in January 2011. Weyton was very passionate and engaged in everything he did, whether it was work or hobbies. Fishing was a favorite pastime of his, and any of his fishing buddies could tell you how meticulous Weyton was, even with his leisure activities. True to form, he would treat fishing as a science—monitoring the weather, wind, time of day, and specific locations on various lakes. However, at the heart of it, his favorite part of fishing was being in nature during dawn and dusk with his friends. When he was no longer able to fish, his passion turned to gardening and, as expected, he received many compliments on his landscaping. Prior to Weyton’s ALS diagnosis, he felt called to serve God in some way but was unsure in what way or fashion. Soon it became clear that God was preparing his heart to witness and share his testimony with others. Through humbly submitting to God’s will, while in the midst of experiencing devastating physical losses in his body, Weyton remained steadfast in his faith and became a living example of pure trust in the Lord’s sovereignty. This remained true to his last days. 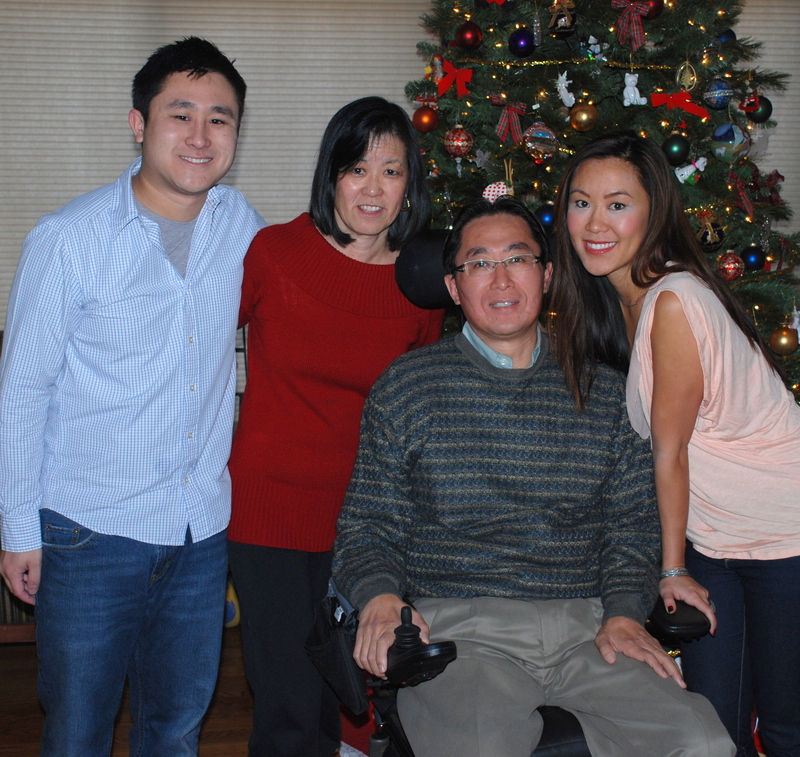 This entry was posted in Personal Journey and tagged als, caregiving, physician with ALS. Bookmark the permalink.